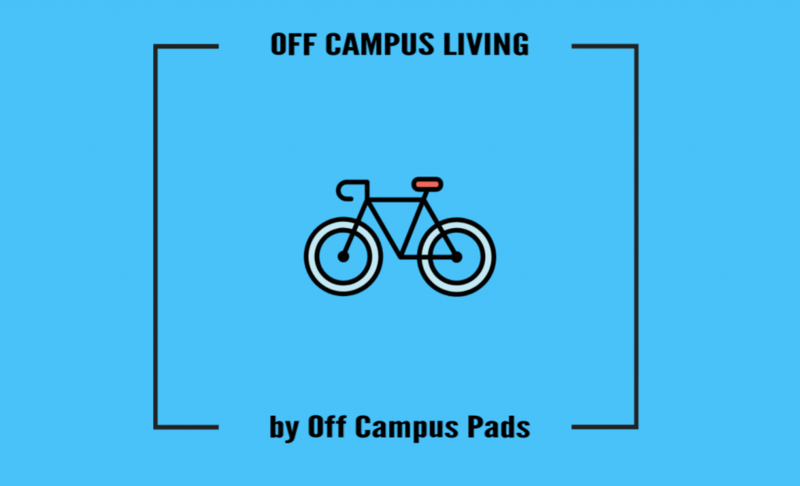 Welcome to the second piece for Off Campus Living- brought to you every Monday by Boston Pads. We’re talking to students (and a few recent grads!) all around the Greater Boston Area that moved off campus for a variety of reasons. We’re asking them what prompted them to make the move, and why this was the best choice for them. We’re hoping this will help other students make more informed decisions and give a fun inside look into the lives of other students! Hi! Lets start off easy- which school do you go to? Northeastern University! I’m a Business Major, class of 2019 so I’m graduating this year. Congrats! And why did you decide to move off campus? A lot of my friends were either already off campus, or making moves to. This was the summer after Sophomore year, and I was ready to have more freedom. Not having to sign into where I live. I’ve been questioned about whether I lived there by the proctors when the system was having technical issues and my card wouldn’t swipe. I have no control over the system and I hated how tedious it was to get into my home. The RAs were also a pain in Northeastern’s dorms. You mentioned the RAs being an issue, what happened? There was one time when I was playing music from my phone- not hooked up to a speaker at all- and the RA knocked on my door to let me know I needed to turn my music down… it wasn’t loud, but because it was finals week there were 24 hour quiet hours. Personally, I don’t like having quiet hours 24 hours in my home and that was the root of the issue. Honestly, I enjoy drinking. I was, and am of age, and it bothered me I couldn’t drink in my home- even a glass of wine. It was a completely dry building. Back of the hill, on Mission Hill. Do you live with roommates? Yes, 3. I love living with them. How do you find the commute to school? It’s a little annoying because it’s a 30 minute walk, but my roommates and I got bikes and that saves a lot of time. Plus, I guess it’s good exercise! How much do you pay now? 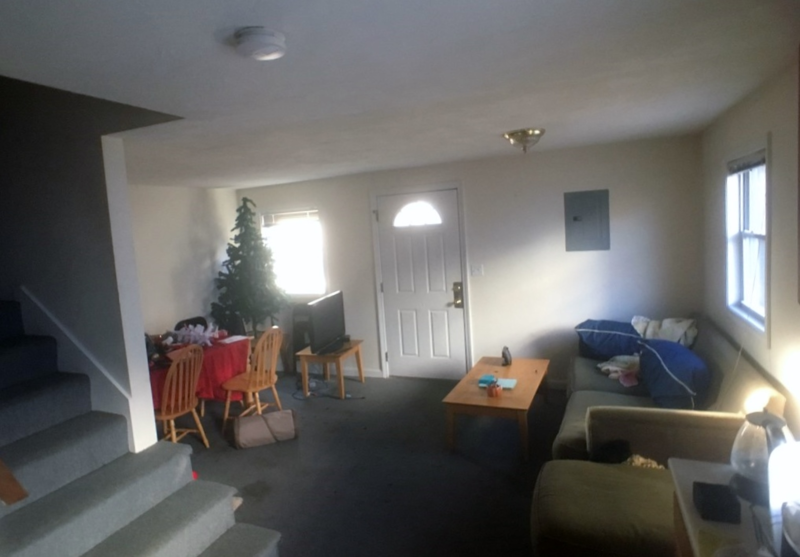 $875 per person for single rooms, plus utilities. At the dorms it was over $1,000 while still sharing a bedroom with someone. The whole place had a kitchen but was still significantly smaller than where I live now. What utilities do you guys pay for? I pay my roommate for gas, electric, internet, and cable and it usually all totals $100 per person. Was it expensive to furnish the place? We got a couch for pretty cheap, $50, and our parents gifted us some furniture as well. The previous tenants also left us some stuff they didn’t want to move. 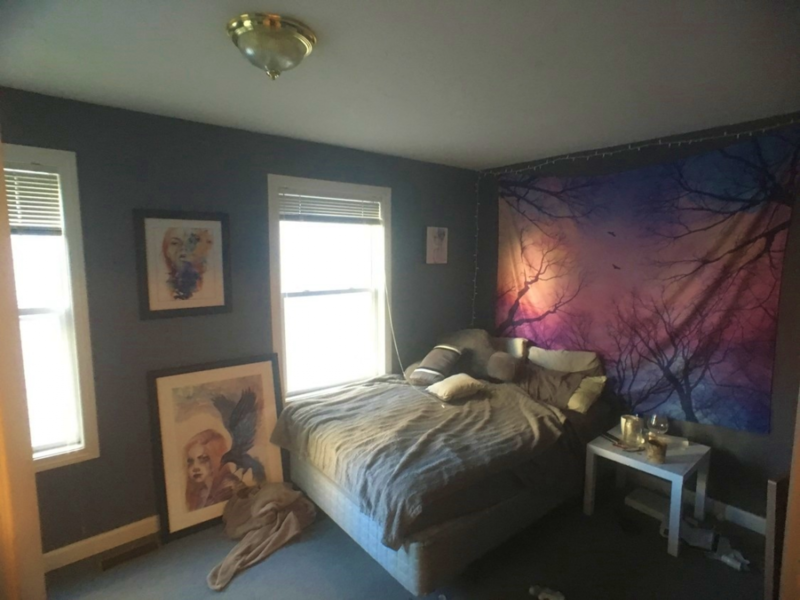 Any cons to living off campus? Definitely not being as close to classes, especially if you have them early. The other thing is repairs do take longer at my current apartment than on campus but that’s of course dependent on the landlord. If we need something she’s responsive, but not much other than that. All the important things she takes care of- our heating broke last winter and she got it fixed that same day. Minor things take longer. I see you guys have pets. Was that a big factor in choosing to live off campus? Yes, that’s a huge plus living off campus! It wasn’t a motivator for me, personally, they belong to my roommates. However, I know that one of the main things they wanted was a pet friendly place so we could adopt a cat and a dog. 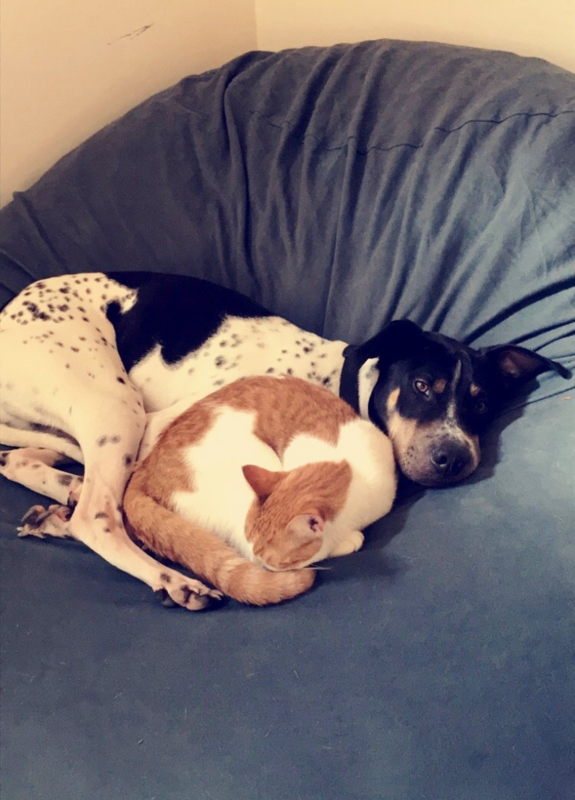 They’re best friends, it’s hilarious. Finally, what’s your favorite room or space in the house? The living room- I spend most of my time here. It’s the space where people hang out, and we have our TV, a nintendo switch, and games like Just Dance. I love having the space to play which is also a nice plus of this house. Having an open living room/ kitchen lets us be able to move stuff for games which we’re all a fan of here.